Manuscript submitted October 6, 2015; resubmitted November 6, 2015; accepted December 14, 2015. The tremendous rise in the economic burden of type 2 diabetes (T2D) has prompted a search for alternative and less expensive medicines. Dandelion offers a compelling profile of bioactive components with potential anti-diabetic properties. The Taraxacum genus from the Asteraceae family is found in the temperate zone of the Northern hemisphere. It is available in several areas around the world. In many countries, it is used as food and in some countries as therapeutics for the control and treatment of T2D. The anti-diabetic properties of dandelion are attributed to bioactive chemical components; these include chicoric acid, taraxasterol (TS), chlorogenic acid, and sesquiterpene lactones. Studies have outlined the useful pharmacological profile of dandelion for the treatment of an array of diseases, although little attention has been paid to the effects of its bioactive components on T2D to date. 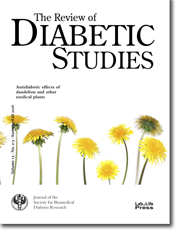 This review recapitulates previous work on dandelion and its potential for the treatment and prevention of T2D, highlighting its anti-diabetic properties, the structures of its chemical components, and their potential mechanisms of action in T2D. Although initial research appears promising, data on the cellular impact of dandelion are limited, necessitating further work on clonal β-cell lines (INS-1E), α-cell lines, and human skeletal cell lines for better identification of the active components that could be of use in the control and treatment of T2D. In fact, extensive in-vitro, in-vivo, and clinical research is required to investigate further the pharmacological, physiological, and biochemical mechanisms underlying the effects of dandelion-derived compounds on T2D.